Not In iTunes feature does not detect music on an external hard drive or USB drive. Tune Sweeper on the PC uses the Windows Search service to find music on your computer. Therefore, Tune Sweeper can only search for music in locations that are included in the Windows search settings. Windows 7 shows you the Indexing Options dialog box. Wait until you can leave your computer alone for a few hours. Indexing a big folder can take a long time. 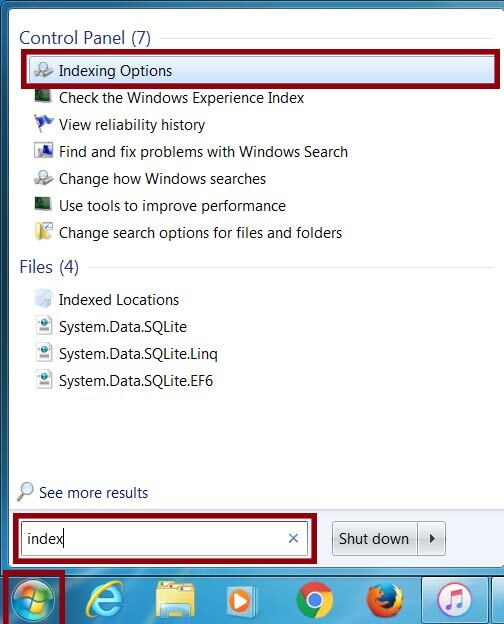 Windows shows you the Indexed Locations dialog box. Click the checkboxes next to the drive you want to add. When you're done, click OK.
Can Tune Sweeper work if my iTunes music is on an external drive or Network drive? Can I change the iTunes library that Tune Sweeper reads? How does Tune Sweeper handle Playlists?